Via Reason comes the news that agronomist Norman Borlaug died yesterday at age 95. Borlaug was a great humanitarian, a Nobel Prize winner whose work to reduce hunger and malnutrition was unparalleled. And yet many have never heard of this man who developed high-yield agricultural techniques to save a billion people from the ravages of famine. Just think about it for a moment. One billion lives saved. In 1960, the world produced 692 million tons of grain for 2.2 billion people. By 1992, largely as a result of Borlaug’s pioneering techniques, it was producing 1.9 billion tons for 5.6 billion people — using only 1% more land. Some of the environmental lobbyists of the Western nations are the salt of the earth, but many of them are elitists. They’ve never experienced the physical sensation of hunger. They do their lobbying from comfortable office suites in Washington or Brussels. If they lived just one month amid the misery of the developing world, as I have for fifty years, they’d be crying out for tractors and fertilizer and irrigation canals and be outraged that fashionable elitists back home were trying to deny them these things. Ultimately, Borlaug was able to return to his efforts to bring high-yield farming techniques to several African nations with the assistance of Ryoichi Sasakawa, Japanese fascist turned philanthropist, and former United States president Jimmy Carter. Today, the fruits of his research can be seen in the prevalence of the high-yield dwarf wheat that helps much of the world’s population live beyond the grip of starvation. There are still more than 800 million undernourished people in the world. Norman Borlaug’s legacy can change that, but only if we make it a priority. 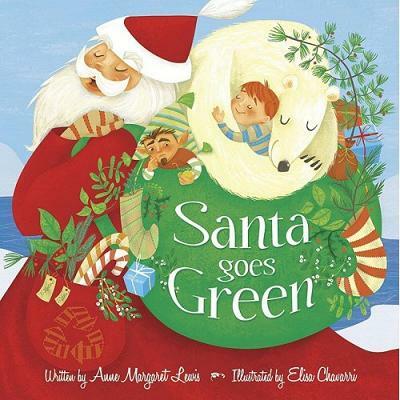 Looks like Santa’s dreaming of a green Christmas this year, or so one “author” would have your kids believe. Apparently he’s at his workshop with the elves raiding his stash of last year’s hoarded wrapping paper in preparation for regifting the old toys he’ll be refurbishing just for you. Hey Santa: thanks, but no thanks. I’ll stick with the slightly more traditional lump of coal in my stocking. Or will that be replaced with vials of ethanol? I hope the new and improved eco-Santa won’t be too upset with 4-year-old cancer patient Hannah Garman for asking for a ton of Christmas cards this year. Using all that paper to fulfill a dying child’s wish might not fit into his green agenda.